1. Place your index finger on the G string, behind the 2nd fret. 2. Place your middle finger on the High E string, behind the 2nd fret. 3. Place your ring finger on the B string, behind the 3rd fret. 4. 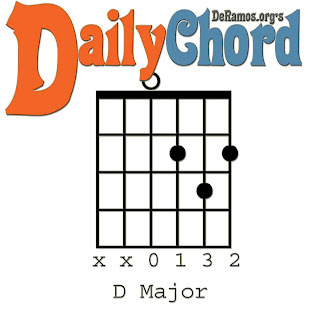 Avoiding the Low E and A strings, play the D major chord.